1. The full implementation of the National Disability Insurance Scheme (Scheduled for 2019-20). 2. Australia’s aging population which will drive additional demand for professionals in aged-care, physiotherapy as well as other healthcare sectors. 3. Increasing demand for childcare and home based care services. According to Seek, total job ads in Australia witnessed a 12.6% surge in July compared to the same period in 2016. This increase in job ads has been noted in all the states and territories of Australia. The jobs have grown across several industries but the major sectors fuelling this growth are healthcare and medical, trades and services, and hospitality and tourism. Owing to the increasing number of new jobs in Australia, healthcare professionals hold a great chance to avail permanent skilled worker visas for Australia. While Healthcare professionals are in great demand in Australia, they are also amongst the best paid as compared to professionals in other job sectors. Medical professionals like neuro surgeons, ophthalmologist, cardiologist, plastic and reconstructive surgeons, and gynecologist/obstetrician are dominating more than half of the top earner's list in Australia. Hence, Healthcare is an attractive industry for those seeking a career in Australia. 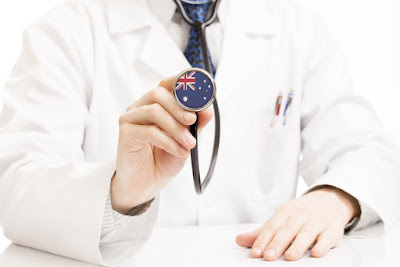 So, if you are a healthcare professional who wishes to work as well as settle abroad; Australia undoubtedly is one of the best options to consider. For any queries or assistance related to permanent skilled worker visas for Australia, you can get in touch with the Visa specialists at Pathway Visas Reviews. It is one of the best immigrants agents in Dubai.